All Lined Up, originally uploaded by indiaeden. 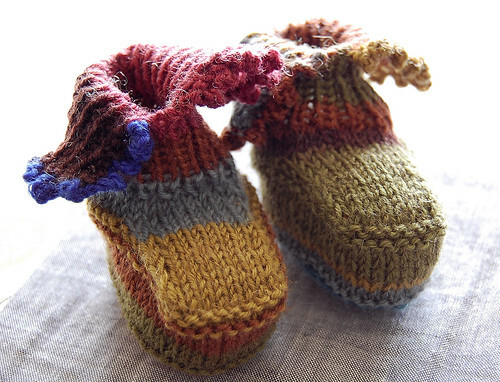 First Picot Trim Booties, from a pattern in Quick Baby Knits by Debbie Bliss. I used some sock yarn I happened to have in my stash. Love these, and have put them in my hospital bag. Next Saartje Booties, knitted in Jacobs sheep yarn. I posted a pic of these the other day,but a couple of people asked for the link to the pattern,so here it is. 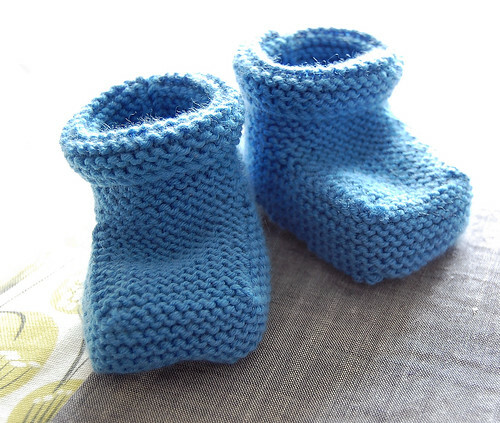 And lastly, some simple garter stitch booties, pattern from Quick Baby Knits again, and using Debbie Bliss Baby Cashmerino. Baby boy is going to have some damn fine looking feet. And damn, that is going to be one full hospital bag. The first ones are my favourites but they are all cute! They are so unbelievably cute! 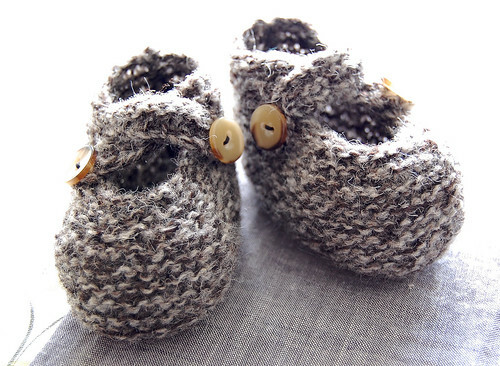 I adore the first ones - they would make good adult slippers too! I tried my hand at booties, and failed miserably, so I'm glad to see how adorable yours turned out. They will be fabulous for his little toes. Your baby boy will be SO well dressed!